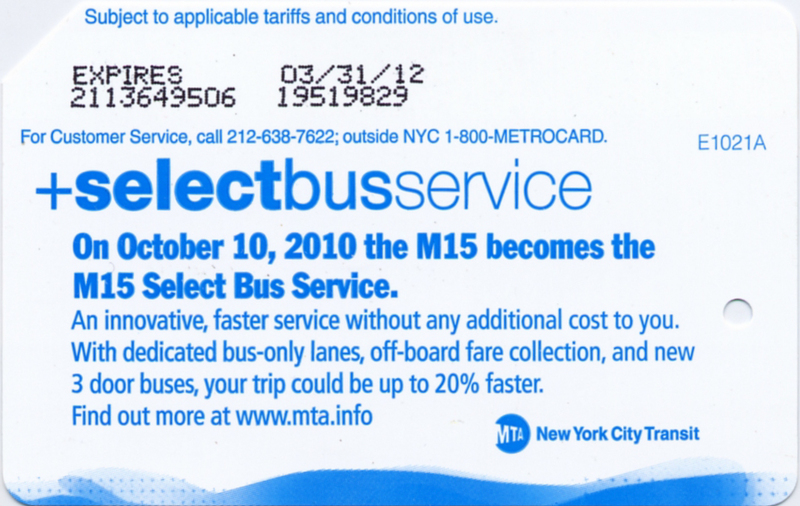 You are currently browsing the archive for the 2010 category. 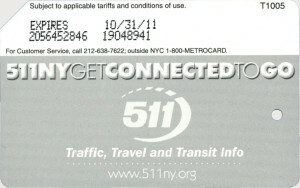 To promote new 511 Get Connected web site: 511NY is New York State’s official traffic and travel info source this metrocard has been issued. 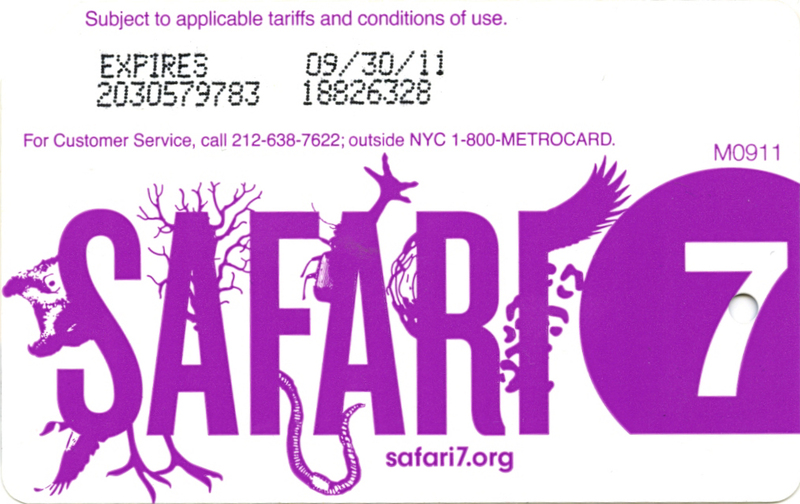 Card has a link to relevant web site. 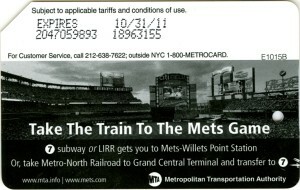 Another incarnation of the famous already theme from MTA “Take the Train to the Game”. 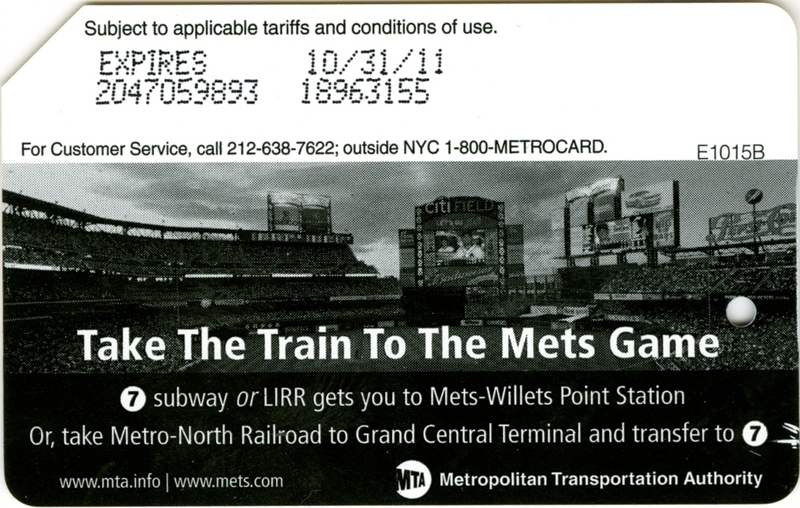 On this one there is an image of new Citifield stadium for the Mets in Queens. 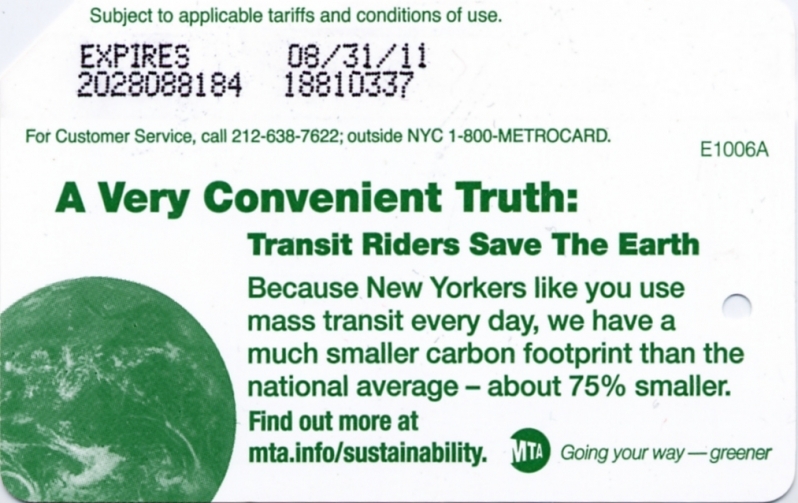 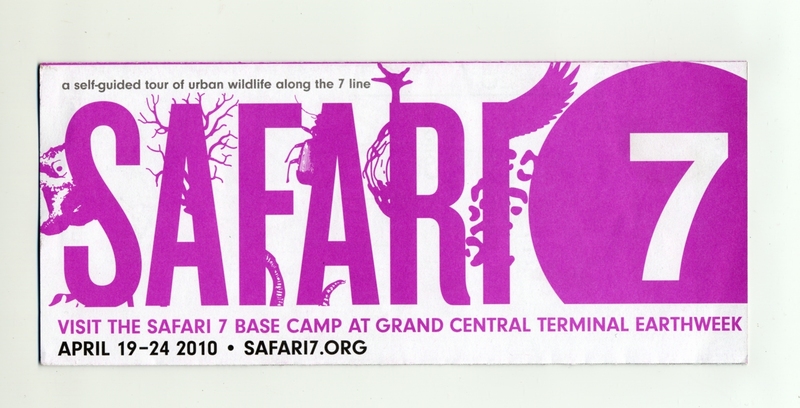 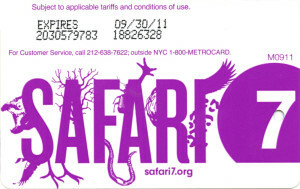 Safari 7 metrocard and matching leaflet have been released in April 2010 as part of Earth Day celebration. 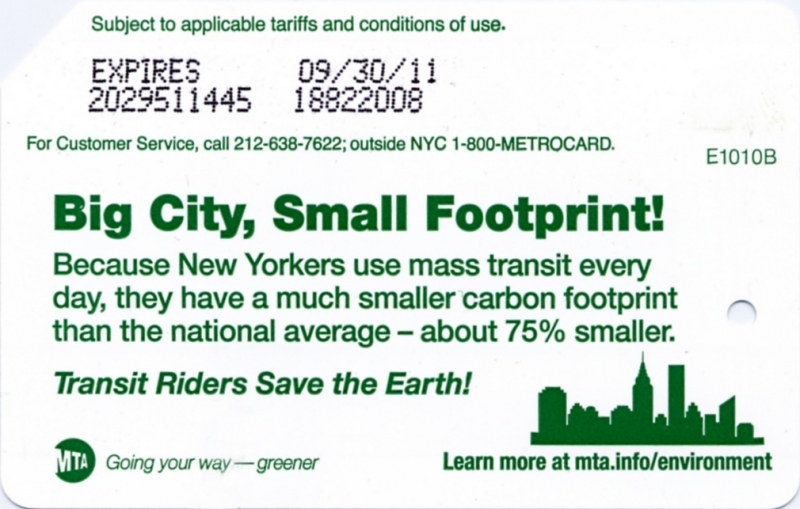 There are more information about Earth Day celebration on related web site. 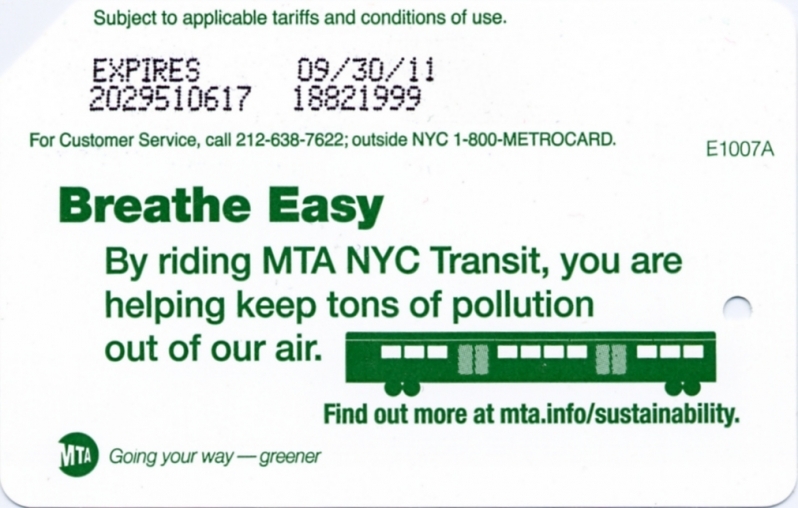 As it was the case for the last 3 years MTA issued yet again green color metrocards to commemorate 40th Anniversary of Earth Day. 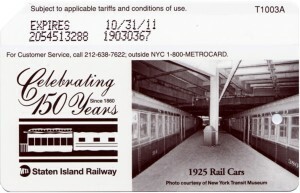 This year series contains of 5 cards. 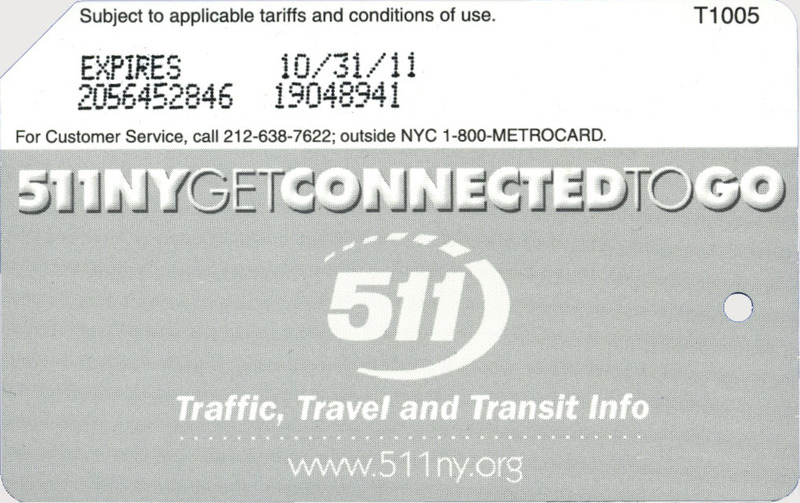 Total number of cards in circulation is 2 million. 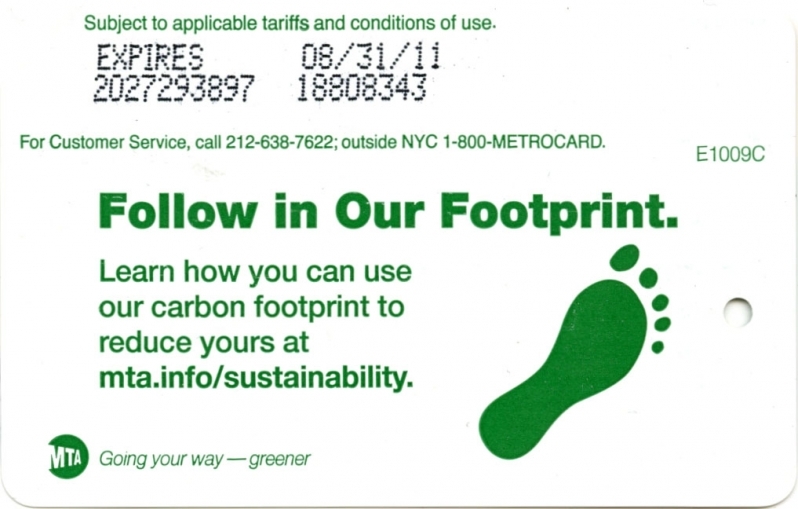 All cards have link to sustainability. 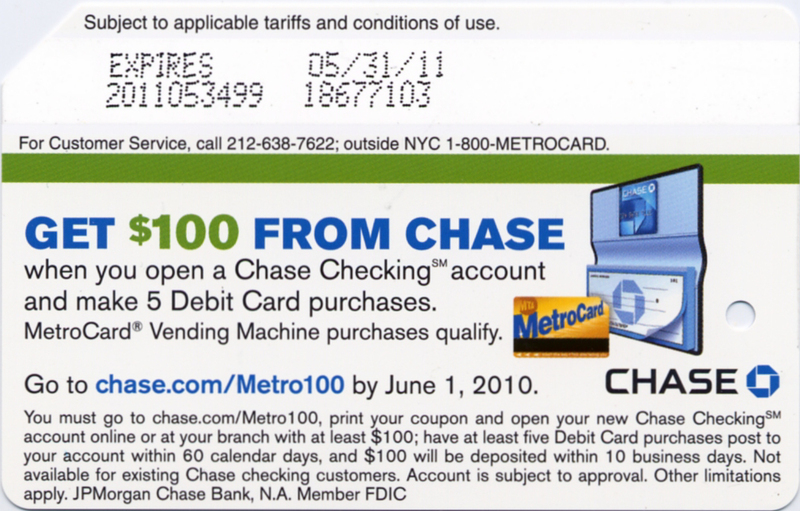 New card came out in March 2010 features Chase bank offer $100 if customer opens Chase checking account and making at least 5 purchases of Metrocards at MVM using Chase Debit Card. 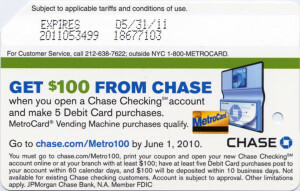 There was another Chase offers already on metorcards. 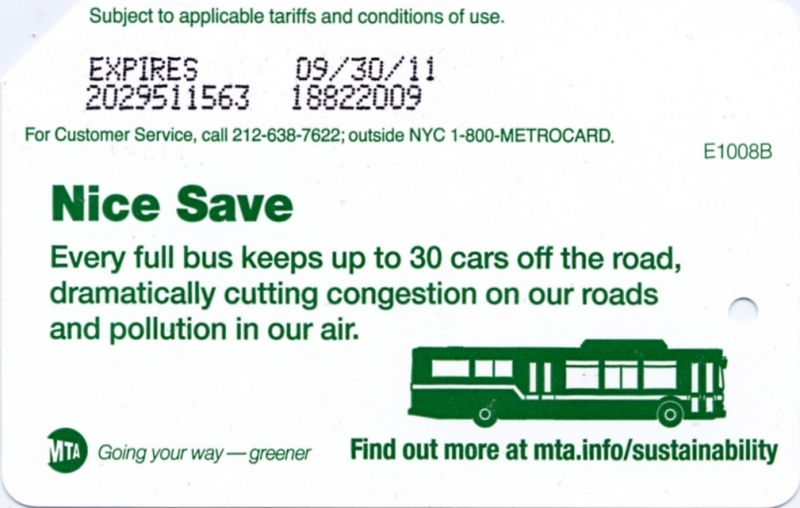 See: this and this. 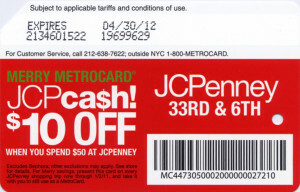 JC Penney department store on 33rd Street and 6th Avenue sponsored this metrocard as featured coupon $10 off of $50 or more purchase. 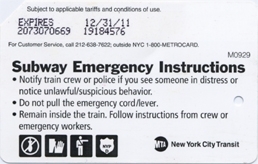 Card is red color background to remind everyone that this is Greeting Season – Christmas time. Card was available at many stations MVM as well as at booths. 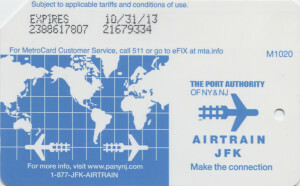 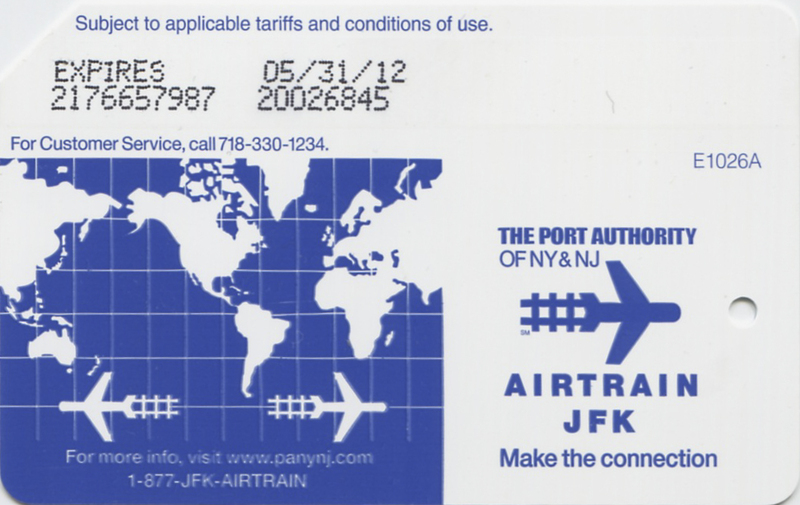 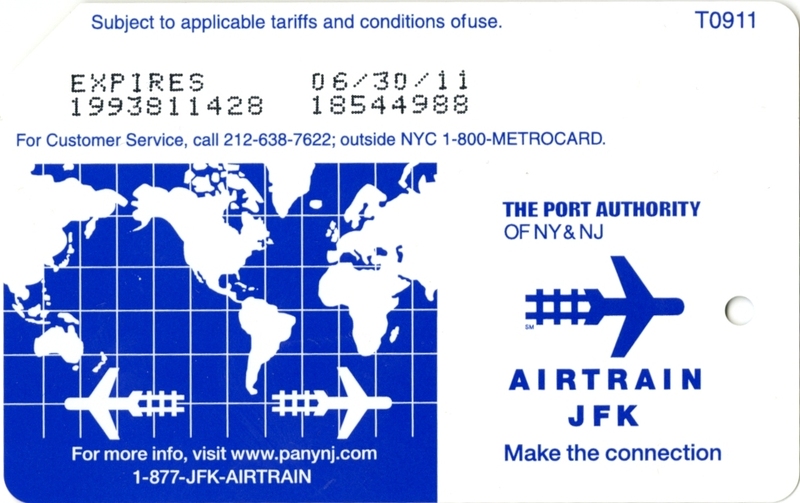 In 2010 MTA introduced new design for metrocard purchased at JFK connection subway stations: Sutphin Blvd/Archer Ave and Howard Beach. 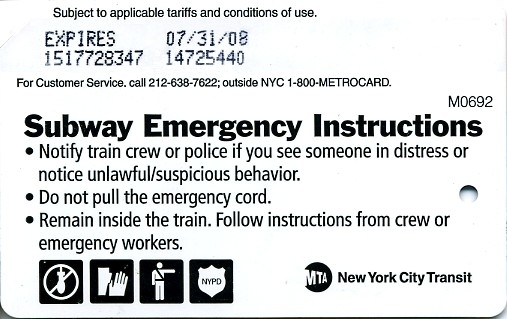 The run of this metrocard is 10 million. 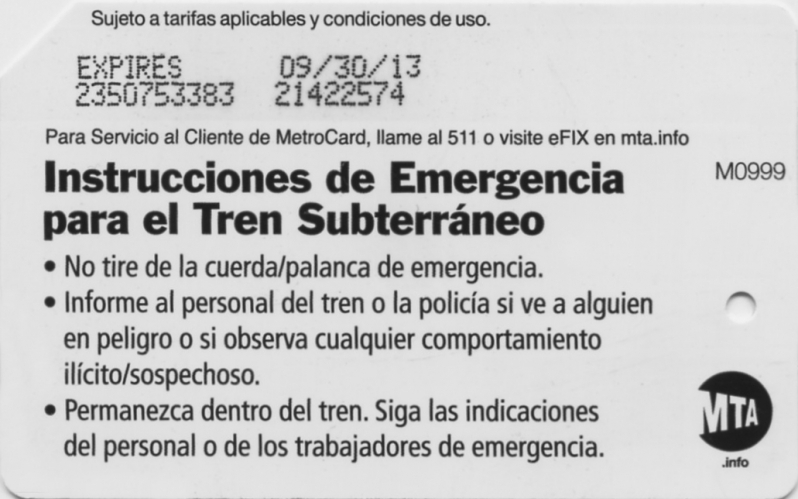 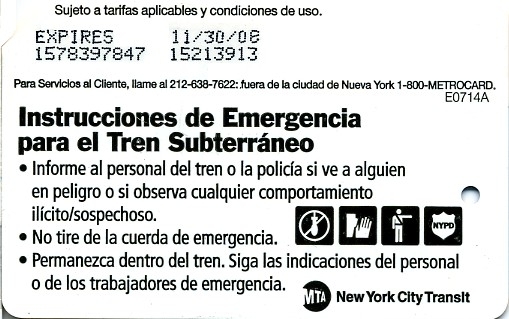 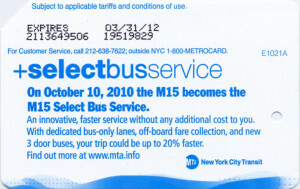 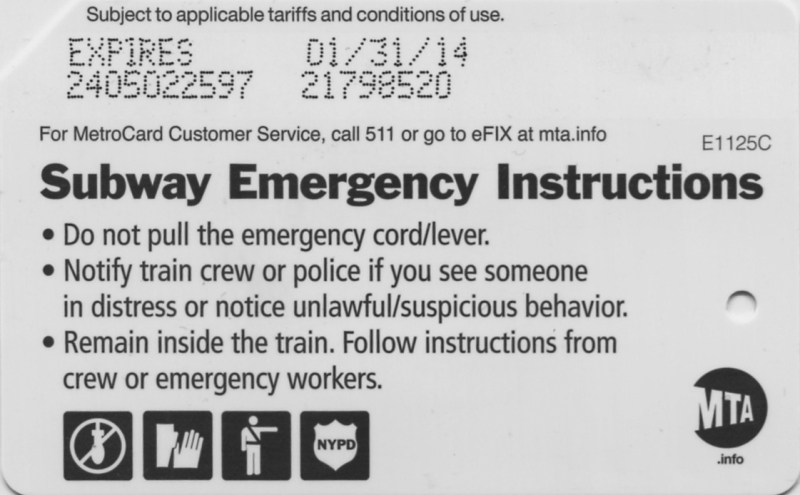 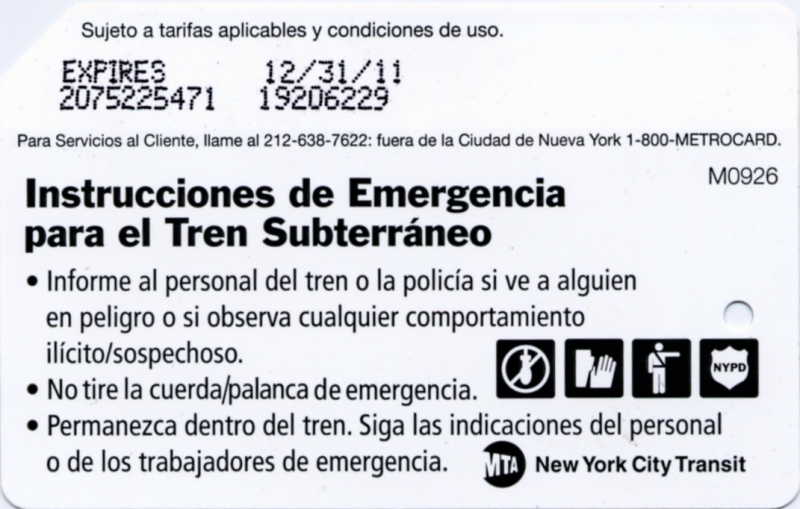 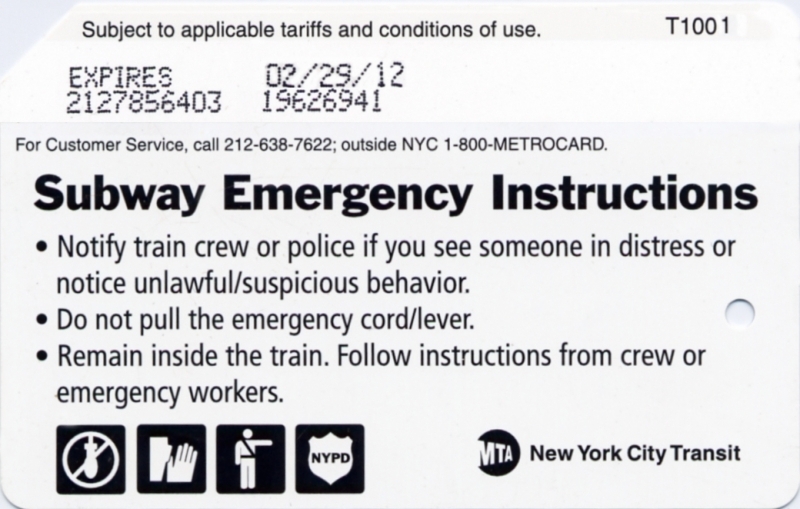 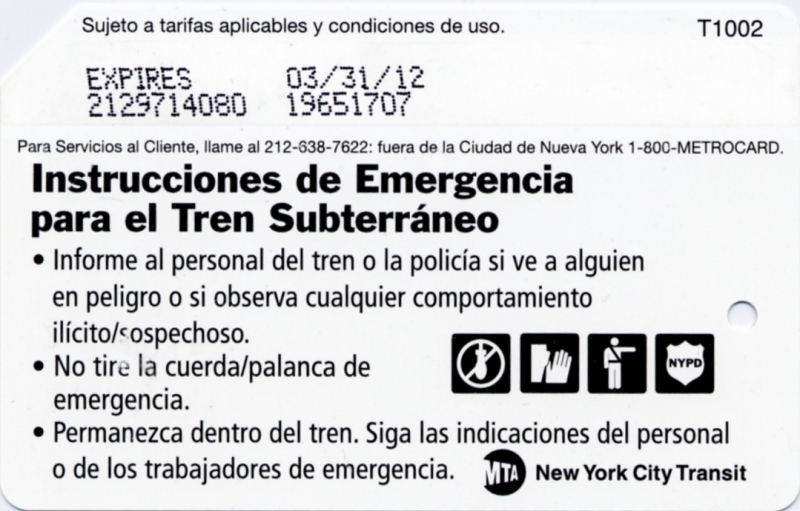 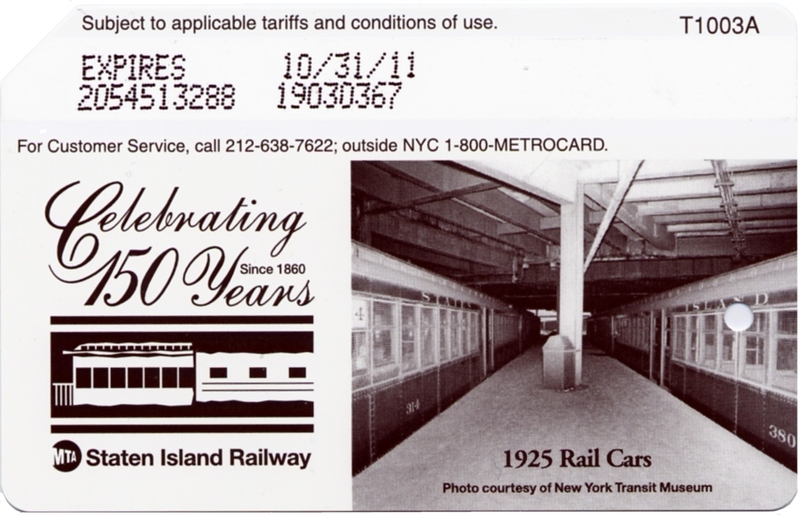 However, since then MTA issued the same card with variations color, font, phone number and etc.